Have you not been able to differentiate which is your suitable Nikon camera between Nikon D3200 and Nikon D5300 ? well, this should not bother you any longer for am going to make a good comparison between these two cameras for you. They have some similarities and some differences as well. Let’s now get into details of these two gadgets and see how they are compared to each other. Nikon D3200 has 24MP-APS-C CMOS sensor and also Nikon D5300 has 24MP-APS-C CMOS sensor. Nikon D3200 optical (pentamirror) viewfinder and Nikon D5300 also optical (pentamirror) viewfinder. Nikon D3200 has 1920 by 1080 video resolution as well Nikon D5300. These two cameras have the same Nikon F lens mount. In fact there are 257 original lenses for the two. These cameras have flashes that are inbuilt and also external flash shoe. Each camera has microphone port. 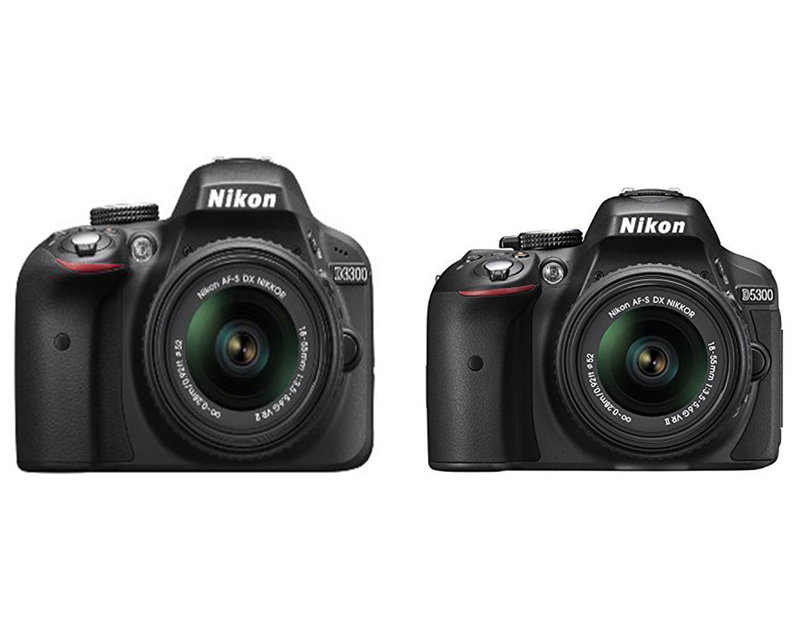 Nikon D3200 has face detection focus as well as Nikon D5300. Both Nikon D3200 and Nikon D5300 have the same shutter speed of 1/4000 sec, which is maximum. Nikon D5300is slightly heavier than Nikon D3200 by 25g. Weight can be considered if one will be carrying the camera around though it’s not a major concern. In terms of sensors these two gadgets differ. In that Nikon D3200 sensor has anti-alias filter which is not found in Nikon D5300. When anti-alias filter lacks in sensors it improves the clearness of the pictured. Nikon D5300 is 1fps faster continuous shooting that Nikon D3200. Nikon D5300’s battery is stronger than that of Nikon D3200 by 60 more frames with a single charge. These two Nikon cameras have lots of similarities we have looked at them as well as differences. It’s my hope that one will be able to make right, informed and wise decision when choosing among these two cameras. Both of them are great cameras and one may not know all differences and similarities if not taken into details like i did. Choose the right camera between Nikon D3200 and Nikon D5300 according to their specifications, similarities and differences.